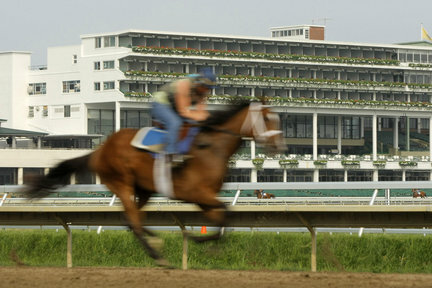 Will There Be Racing at Monmouth Park in 2012? In the past two days reports have been published that make it very difficult to understand what is happening with Morris Bailey’s offer to lease and operate Monmouth Park for the next five years. After some acrimony during negotiations conducted by the state to turn Monmouth Park over to a private operator, there is now peace. Final agreements to complete the deal are expected to be in place soon, racing industry officials said Monday. Talks to complete a deal to allow for private management of state-owned Monmouth Park have broken down, leaving the landmark Oceanport thoroughbred racetrack with an unstable future. Then at 10:50pm on December 7, NJ.com, which is the website for the Star Ledger, a reaction from Morris Bailey was posted. This is not the first time Mr. Bailey has threatened to step away from the deal in order to put pressure the negotiations. Here is the link for this full article www.nj.com. A bitter dispute over a license for additional racing dates at Monmouth Park has shut down talks to privatize the racetrack, jeopardizing its future and the jobs of several thousand employees. As a result, developer Morris Bailey today indicated through his attorney that he wants out of the deal to lease Monmouth Park. At 6:48pm on December 7, NorthJersey.com posted an article from the Bergen Record talking about how the Monmouth issues will impact the standardbreds at the Meadowlands as they too try to finalize their own lease deal. www.northjersey.com. A deal to have a private operator take over Monmouth Park has fallen apart, the head of the state’s Thoroughbred Horsemen’s Association said Wednesday, leaving the track’s fate in jeopardy while also raising questions about whether the Meadowlands Racetrack could wind up as collateral damage. When all parties involved met Dec. 2 to sign the agreements, a representative of Christie’s office said the deal could be closed because the state attorney general’s office was “uncomfortable with it,” according to NJTHA president John Forbes. Clearly politics have caused the current snag in the completion of the lease to Mr. Bailey. Monmouth Park is one of New Jersey’s great treasures that need all parties to unite to preserve the state’s long standing thoroughbred race track. This entry was posted in Monmouth Park, Morris Bailey. Bookmark the permalink. 2 Responses to Will There Be Racing at Monmouth Park in 2012? While Christie and Sweeney are asleep, other surrounding states are making a fortune by putting casinos at their horsetracks and using a small portion of those profits to subsidize their horseracing purses which gives them a huge advantage over NJ horsetracks. Note that a study done for the State of New jersey noted that vlt’s/slots at The Meadowlands would bring the state over $1 billion in new revenue with almost no harm to Atlantic City. Many Nj residents are already gambling at casinos in other states since they are much more convenient than AC. The parking lot at Yonkers/Empire City Casino is locaded with cares with NJ plates. Thanks for the great comment. It seems that our Governor, once again, wants to have his cake and eat it, too. He wants to wash his hands of horse racing, but of course, he wants the state of NJ to keep getting their percentage of the money bet on the horses. All of this while he stays in bed with the Atlantic City casinos. The tracks are run by a NJ agency, but the AC casinos are private enterprises. I don’t understand the commitment to those casinos.